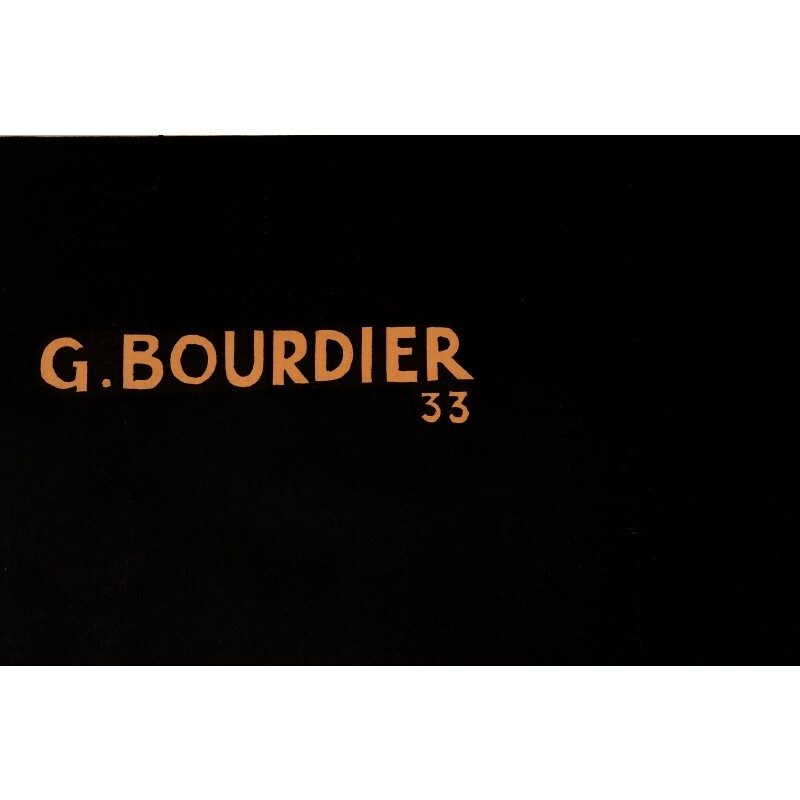 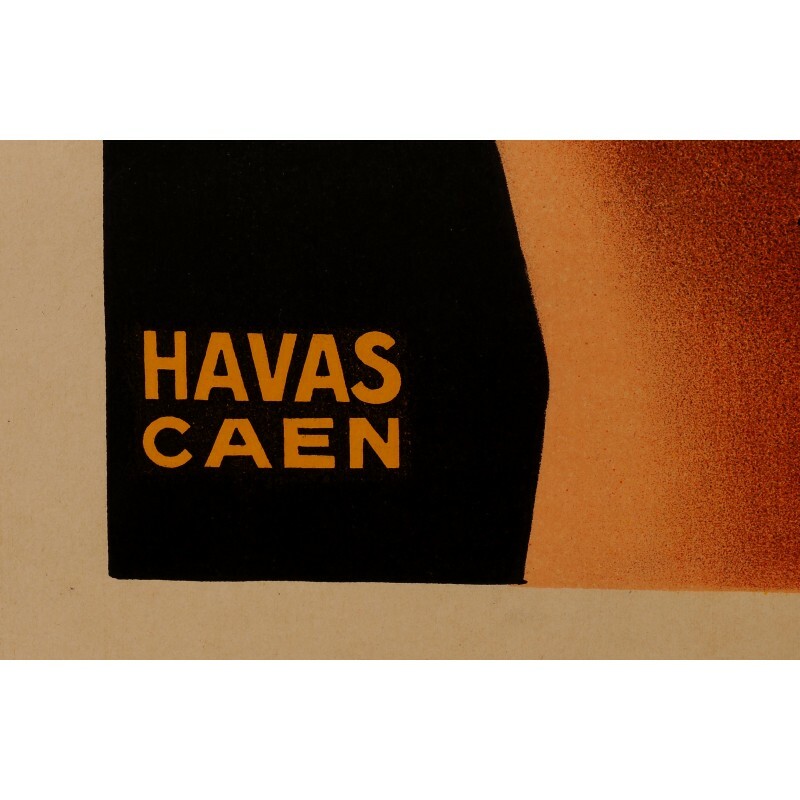 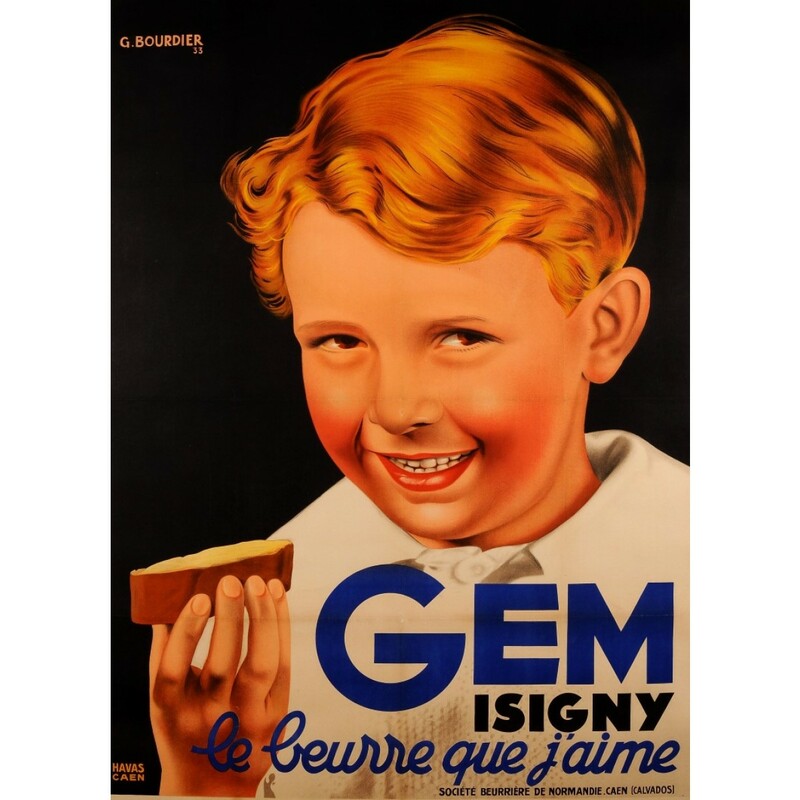 This charming poster by Bourdier was realized in 1933 as an advertisiment for the French butter brand "Gem". A beautiful boy with blond hair is depicted here, smiling, while holding a piece of bread with this delicious butter on top. 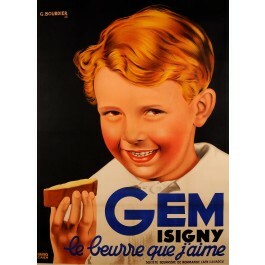 The slogan in French says: "The butter I love".